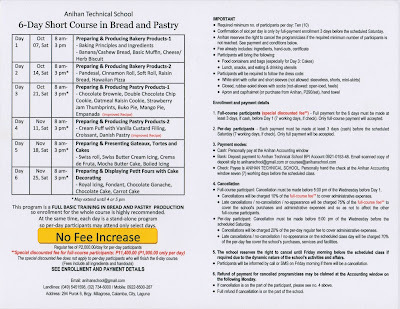 Enroll now in Anihan's Short Course in Bread and Pastry for October to November 2017. 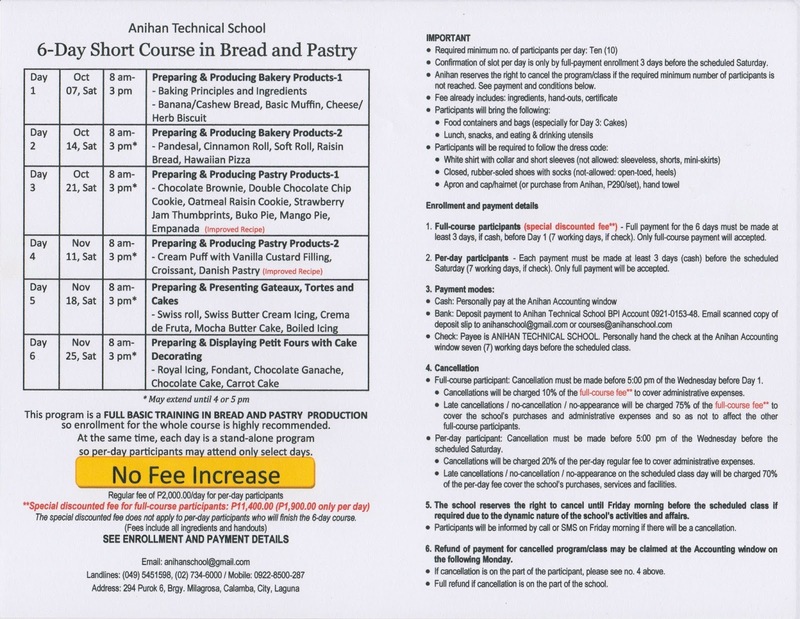 No Fee Increase! Left-click image to enlarge. To save,right-click and choose "Save image as".